Today, mobile phones have become a key necessity for every individual. Considering the hectic lifestyles followed by today’s generation, it can well be said that mobile phones have served as a great tool for performing a number of tasks. Whether it’s making calls to your near and dear ones, accessing the internet or using specific applications, mobile phones have become a prime source of relief. 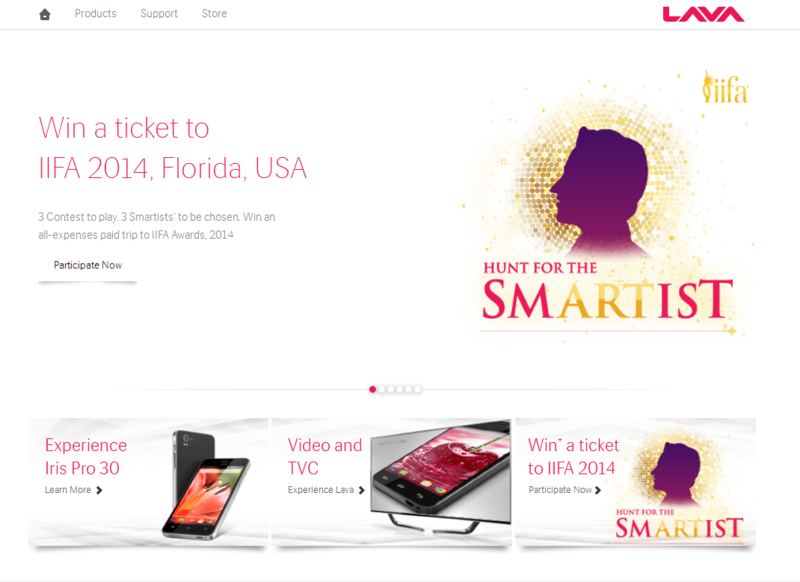 In this article, I’ll take you through top 10 mobile brands in India for the year 2014. The sky-rocketing popularity of mobile devices in India has paved way for the inception of several mobile phone manufacturing companies. So, let’s get a clearer picture of 10 of the best Mobile brands that are rocking the mobile industry in India. 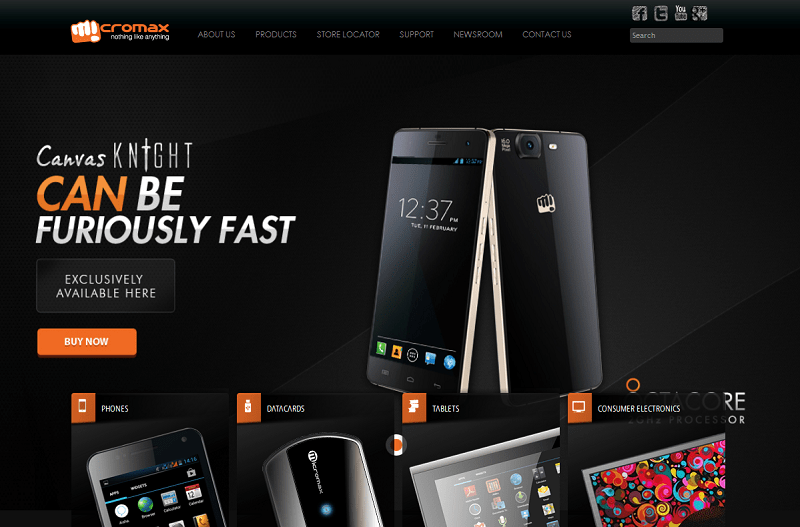 Launched way back in the year 2000, Micromax has become one of the most successful mobile brands in India. Today, the company is selling more than a million mobile phones almost every month. Initially starting off with making renowned actor Akshay Kumar as their brand ambassador, Micromax is the first Indian phone maker that went to the extent of making fun of the very expensive US-based Apple iPhone. The bloat-free stature of Micromax Mobile Phones has impressed the Indian mobile users. Karbonn has emerged as an out-of-the-box dual sim Android mobile phone. Loaded with good looks, technology and service, Karbonn has become a reputed mobile brand in India. 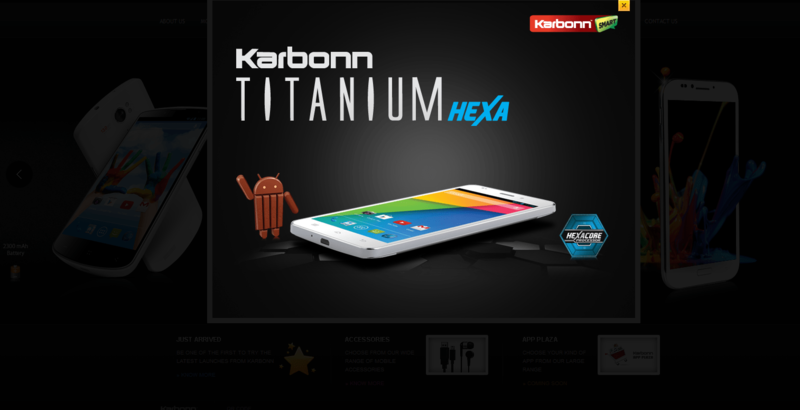 Headquartered in New Delhi, Karbonn has been successful in creating a unique niche in the Indian mobile industry. 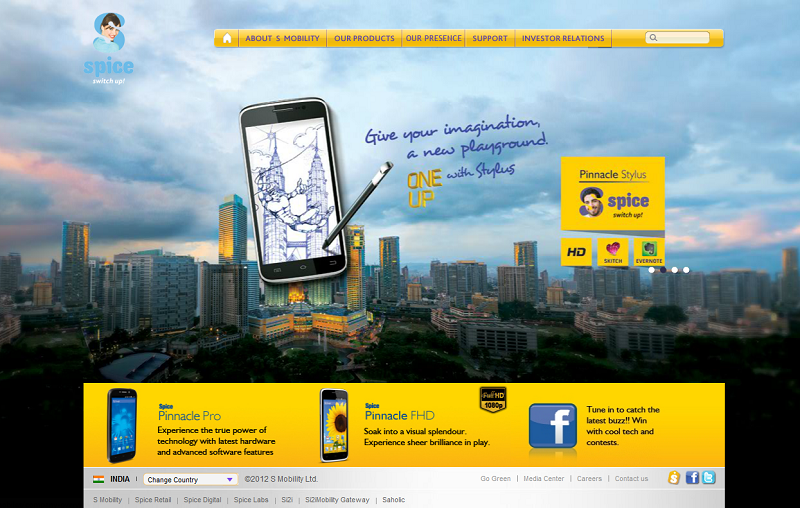 Owned by Spice Communication Ltd, Spice Telecom has outgrown as one of the best selling mobile phone brands in India. Spice has the privilege of being a part of the 23 Telecoms Circles inside India. With more than 4 million customers, Spice is expected to scale new heights of success in the Indian mobile sector. As a GSM cellular service provider, Videocon Mobile Service has become a renowned name in the Mobile Phone Manufacturing Industry. Videocon mobile phones are rich in looks and features, making them one of the first choices of mobile users in India. Although iBall initially started off as a mouse manufacturing company, now you can easily find amazing mobile phones available under the brand name. Being present in the mobile industry since 2010, iBall has launched a variety of mobile phone models that have impressed customers in and across India. Lava has come up as an afford-ably priced mobile phone that has been empowering people of all age groups via its technology. The company aims to become a leading mobile phone brand in the coming years. It’s easy to use mobile devices are definitely going to impress mobile users across India. 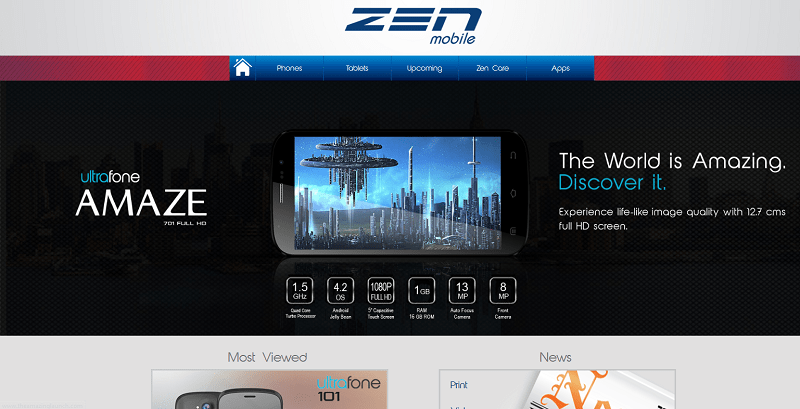 Established in November 2008, Zen Mobile has been successful in becoming a part of the Indian telecom industry. “Quality is timeliness” is the motto of the company and it looks forward to maintain all the standards required for delivering the best quality mobile phone. 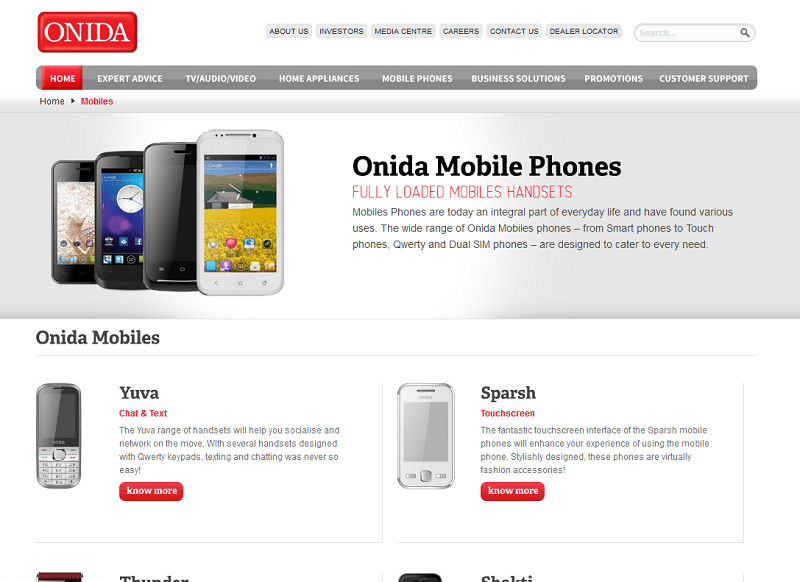 Since many years, Onida has been a well-known brand that’s been delivering top quality electronic goods at the best prices. With a wide network of over 208 customer care centers, 41 depots and 33 branch offices across India, Onida has been successful in attaining its niche in the Indian telecom industry. Reliance Communications has outgrown as a part of the Reliance Communications Ventures that was founded by Late Shri. D.H. Ambani. 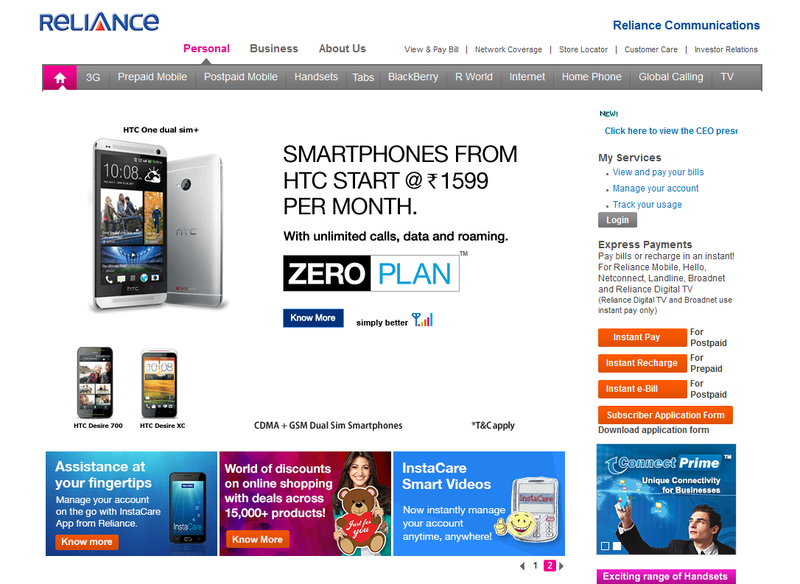 Reliance Mobile phones have been successful in meeting the varied needs of mobile users across India. The company has brought a new revolution in the digital world by offering mobile phones at extremely affordable prices. 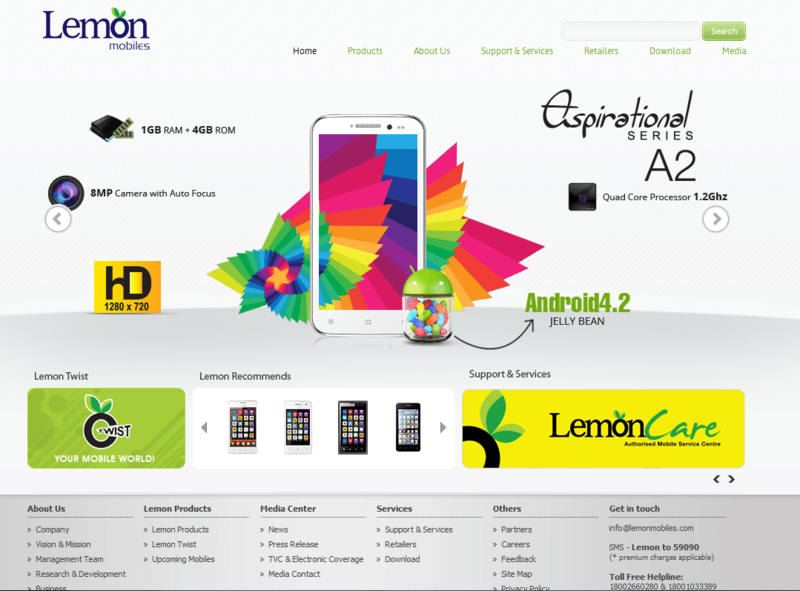 Launched on 9th June 2008, Lemon mobiles have received impressive feedback from mobile users across India. Not only mobile phones, Lemon has also been engaged in delivering top quality mobile accessories and computer storage devices that have become a major necessity for mobile users. After having a glimpse at the above list, I’m quite sure you’d have got a clear idea about the evolving mobile phone market in India. After getting a detailed knowledge about the top mobile brands, it will definitely become easier for you to choose one for meeting your specific requirements. Please do share your views/opinions on the above post. Also, if you feel the need to add details of a mobile brand that’s not been covered above, please consider using the comments box below. Author Bio: Lucie Kruger is a tech savvy writer who works for a leading Android Applications Development Agency. 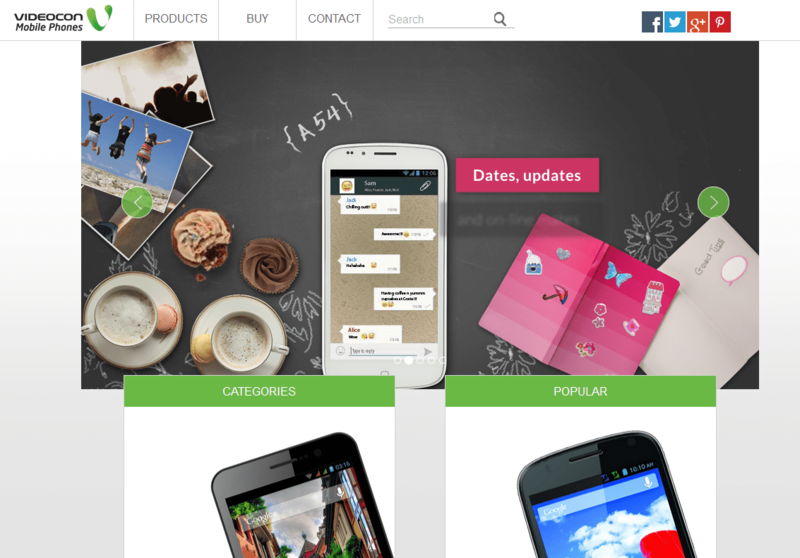 You can also contact her, if you are looking forward to Hire Android App Developers.